MANILA, Philippines – There’s no doubt about it, the election season is here. Vice President Jejomar Binay’s United Nationalist Alliance (UNA) begins Tuesday, January 8, its first coalition-organized sorties for its senatorial slate ahead of the May 13 polls. 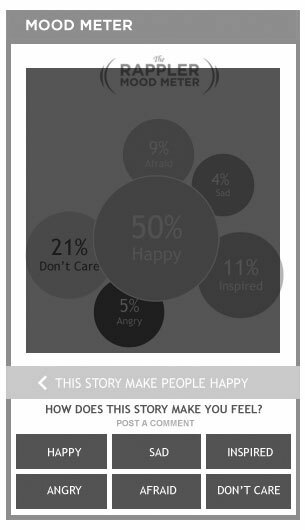 The provincial sorties are timed with the release of the coalition’s first slate ad. The sorties and ads come a month before the start of the official campaign period for national candidates set by the Commission on Elections, February 12 to May 11. 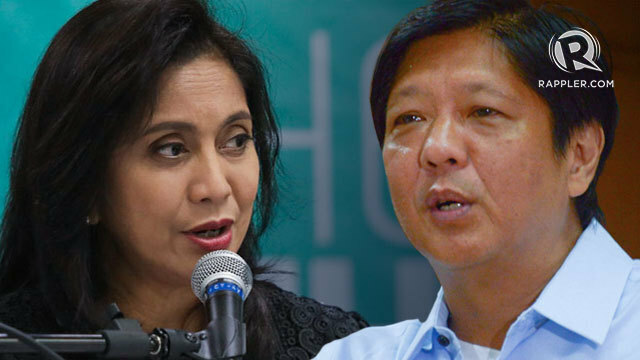 The ruling Liberal Party (LP) has yet to announce its slate sorties and air an ad featuring its senatorial ticket. 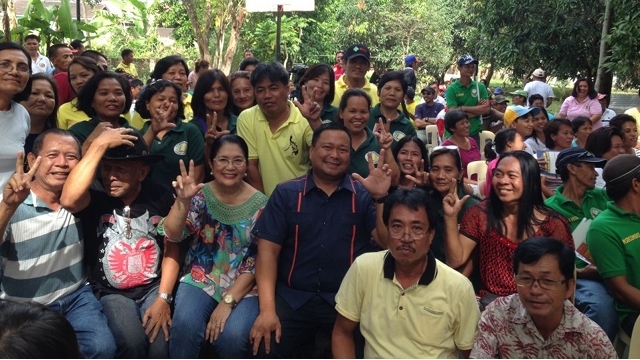 UNA’s senatorial candidates visit the province of Batangas on Tuesday and Wednesday. The UNA bets are set to visit the 1st, 2nd, 3rd and 4th districts of Batangas, particularly the following areas: Nasugbu, Tuy, Balayan, Agoncillo, Lemery, Santo Tomas, Tanauan, Lipa City, Mataas na Kahoy, Batangas City, and San Jose. In 2013, UNA, including its member party Pwersa ng Masang Pilipino (PMP), has candidates in two of the 4 congressional districts in Batangas, while LP has 3. UNA has no bets for governor and vice governor. Comelec data also show that UNA/PMP has mayoral candidates in 15 of the 34 towns and cities in Batangas, compared to LP's 32 bets. UNA secretary general and Navotas Rep Tobias “Toby” Tiangco said his group cannot be accused of premature campaigning because there is no such thing under the law. “We are not violating any law. We are doing what is legal,” Tiangco told Rappler. The Comelec has conceded that there is no law against premature campaigning. The poll body cited a Supreme Court decision saying those seeking elective posts are only considered candidates at the start of the campaign period. Yet advocacy groups have launched the “anti-epal” campaign in an effort to monitor and shame politicians caught prematurely campaigning, and plastering their faces on government projects. 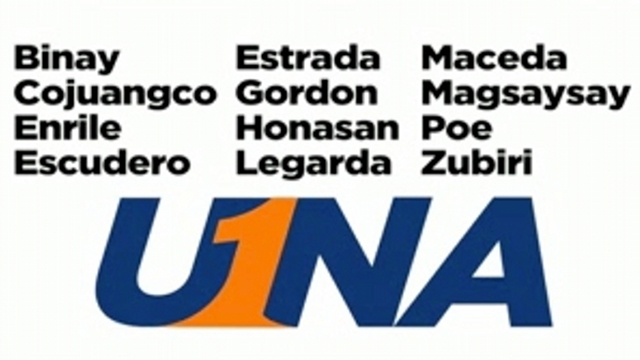 UNA is a coalition between Binay’s Partido Demokratiko Pilipino-Lakas ng Bayan (PDP-Laban) and former President Joseph Estrada’s PMP. 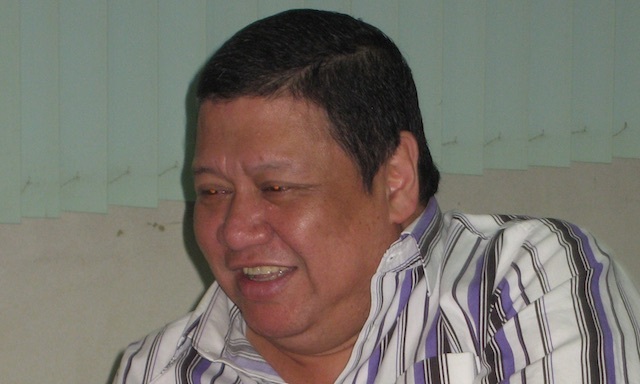 It is the self-styled “constructive opposition” to the Aquino administration. On the eve of its provincial sortie, UNA also launched its first slate senatorial TV ad. The ad aired on primetime on ABS-CBN and GMA7 on Monday, January 7. While the ad did not explicitly ask viewers to vote for the UNA candidates, it introduced them and their advocacies. The slate ad featured only 9 of UNA’s senatorial bets, noticeably excluding the 3 senatorial candidates it shares with the LP: Sen Loren Legarda, Sen Francis Escudero, and former Movie and Television Review and Classification Board chairperson Grace Poe-Llamanzares. Before the release of the slate ad, individual candidates of both UNA and the LP have been airing their own TV advertisements as “advocacy ads” but these are clearly meant to raise awareness for the elections. Just watched an ad featuring UNA's senatoriables, ang aga. I'm sure mahaba ang pisi for campaign ads. Bam Aquino: What can a 6th Aquino bring to the Senate?